Blogging is an excellent tool to get you known in your field. There’s been an explosion of bloggers achieving celebrity like status, launching successful businesses or being brand ambassadors in the last few years. As people have seen blogging leading to success, the blogosphere is expanding constantly with more and more people trying to use blogs as a way to launch their product or service. In order to stand out from the multitude of bloggers, you need more than just pretty words or witty content. Search Engine Optimisation (SEO) is about understanding how search engine algorithms work and making sure that your site or blog gets to the top of the list when people search for a certain phrase, service or product. It’s quite a complicated balance of the correct use of keywords, backlinks and generally outsmarting the search engines to make your content get the most clicks. We get back into spam avoidance territory here, as search engines sniff out spam like a hungover student who is over their overdraft! I luckily have UnicornThesaurus status and with this comes a whole load of knowledge about how SEO works and what can transform good but unread content into amazing content that’s top of the hits parade (told you I liked a pun). It’s not quite magic but it does sometimes seem like it. I can write original SEO optimised content for your brand, I can edit and relaunch existing content in a way that will breathe new life into it, and I can take your voice to the people that want to hear it but are getting bewildered by the multitude of similar blogs scattered across the blogosphere. 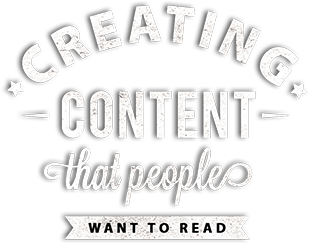 Contact me today to discuss how UnicornThesaurus can help you with SEO blog content.